R – Reliability and Respect – Can you have one without the other? This week we continue with the letter “U” for Understanding. If you are not aware of what is going on around you or you do not understand what’s going on around you; it is very hard to get ahead or to Surge Forward. 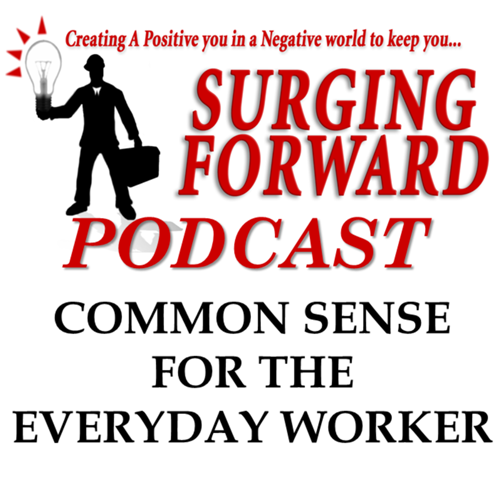 Understanding what is going on in your basic workplace is the key to Surging Forward. Ask yourself do you know what is going on at your job? Do you even know the purpose of your job? We live in a “what’s in it for me” society and that does not resonate in a workplace. Working by some has been deemed a right in our society and they feel that the employer owes them. We all hear the lunchroom talks of how the boss is making all the money, but he just sits in the office. When you start having this type of conversation with your peers; you are going down the “negative” rabbit hole and have stopped Surging Forward. The media has created an entitlement mentality. With this mentality it is hard to feel successful. If you want to be successful you are going to have to work. Let’s try to understand the real process so that next time you are not pulled into this negative conversation. Why are we working? Is it because we love to get up early, go fight traffic, and then deal with all the headaches of the job? “No”; we work so we have some money. The reason we have a job is to make money. When you went on the interview for your job, you were selling yourself by trying to make a good impression. At this interview you and your employer made an agreement: you would work for him and he would pay you a wage. The employer is running a business. Their business is there to make money. The employer hires workers to help their business make more money. They did not create a business just to hire people. Employers hire workers because they have too much work to be handled alone. Employers trade money (wages) for their worker’s service to produce their product. As a worker you are trading your services for money. If you look at it this way, it is almost like you are self- employed. If you look at it this way then it creates “value”. You should want to do your very best because you are trading your service for your money. If an employer sees your “value” as a good employee then they will want to keep you and will often give you a raise. Even if they do not give you a raise, you are learning skills that you can take to get a better job. Then you are Surging Forward because you have learned to understand and play the game.